Princess Margaret, Ernst Kitzinger, and Mildred Bliss in the Gardens, 1965. Dumbarton Oaks Archives (AR.PH.BL.001). As you may already know, Princess Margaret, accompanied by her husband, the Earl of Snowdon, will be paying a three week visit to the United States in November during which she will spend a little over two days in Washington. Both the Princess and Lord Snowdon have a great interest in the arts and would be very pleased and grateful, if they could visit you at Dumbarton Oaks and see the pre-Columbian art collection which is housed there. 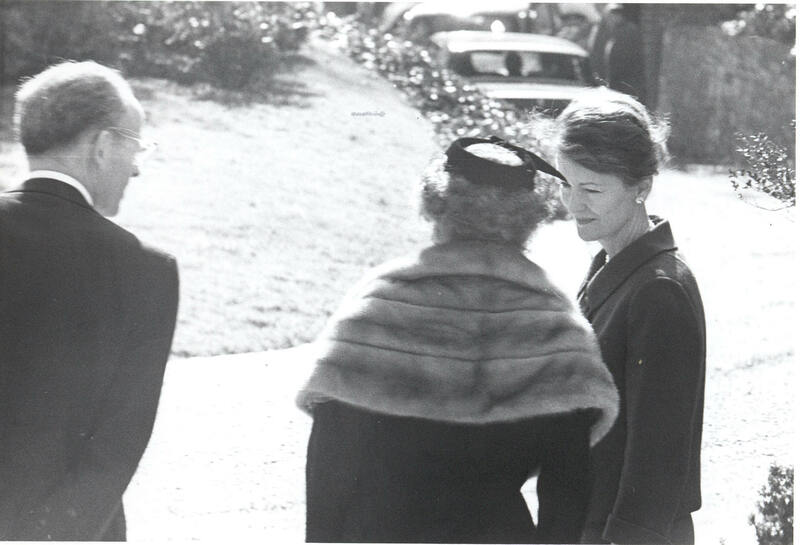 The visit took place on November 17, 1965, and in addition to visiting the Pre-Columbian Collection, the royal couple took a tour of the gardens led by Mildred Bliss and Ernst Kitzinger, then Director of Byzantine Studies (see photographs above and below). Princess Margaret came to visit right after the Garden Library and the Pre-Columbian were finished. She came up in a Rolls Royce. That is one of the very few times I’ve see the front doors leading to the oval room open. She wasn’t a very big woman. She had a hairdo about like this, and one of the first things that she did was go into the oval room and change her shoes. She couldn’t walk through the garden with high heels. 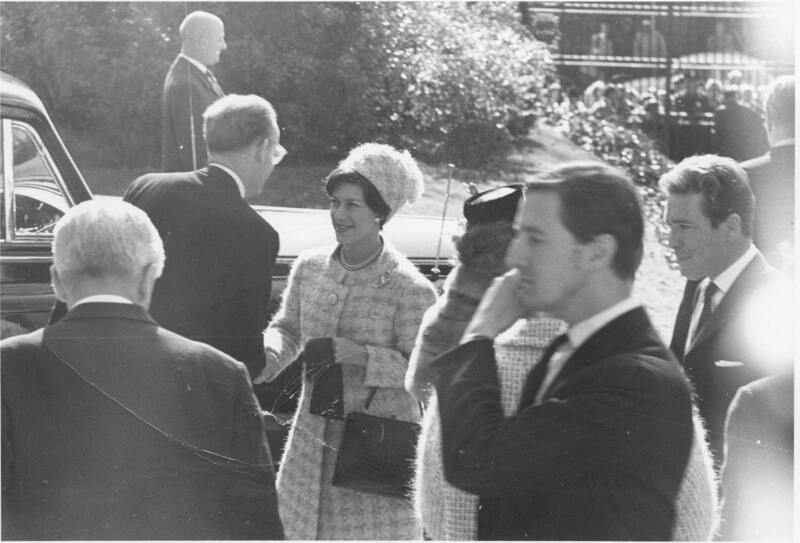 Correspondence and images regarding the royal visit as well as Don Smith’s interview are preserved in the Dumbarton Oaks Archives. Ernst Kitzinger Shaking Hands with Princess Margaret and Mildred Bliss Speaking with Lord Snowdon. Archives, AR.PH.BL.022, Dumbarton Oaks Research Library and Collection. Ernst Kitzinger, Mildred Bliss, and Joan Southcote-Aston. Archives, AR.PH.BL.023, Dumbarton Oaks Research Library and Collection. 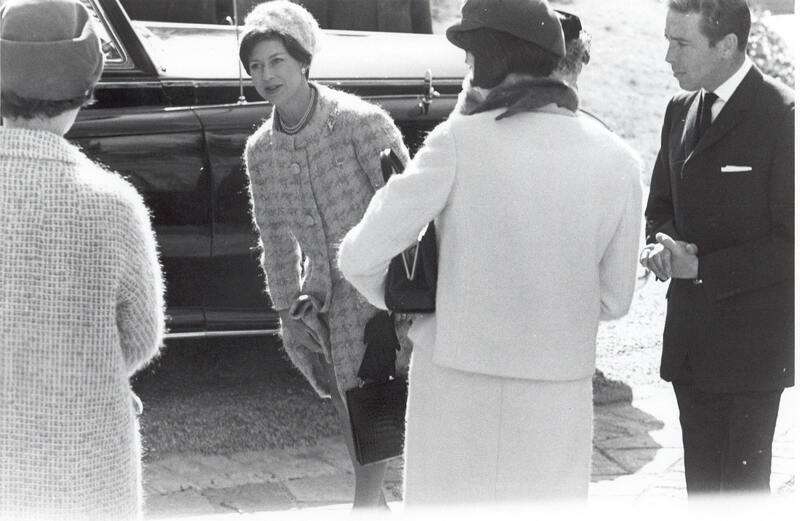 Princess Margaret, Lord Snowdon, and two Unidentified Women. Archives, AR.PH.BL.024, Dumbarton Oaks Research Library and Collection. Princess Margaret, Ernst Kitzinger, and Mildred Bliss. Archives, AR.PH.BL.025, Dumbarton Oaks Research Library and Collection.